Lockers wrap around the back of the coach above the galley kitchen, sofa, and rear seats and securely hold everything you need to tailgate or head to the beach house. 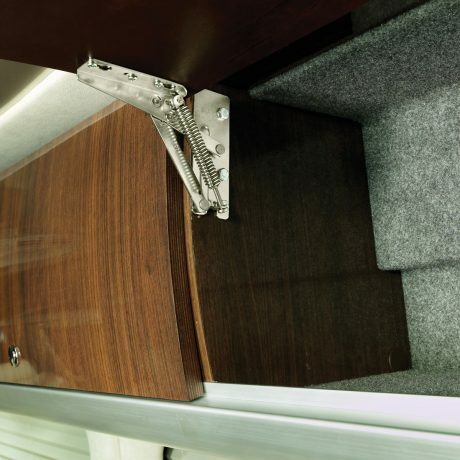 Plus, you can store your luggage in the trunk behind the sofa/bed. The rear sofa seats three, plus two side seats, and two captain’s chairs. 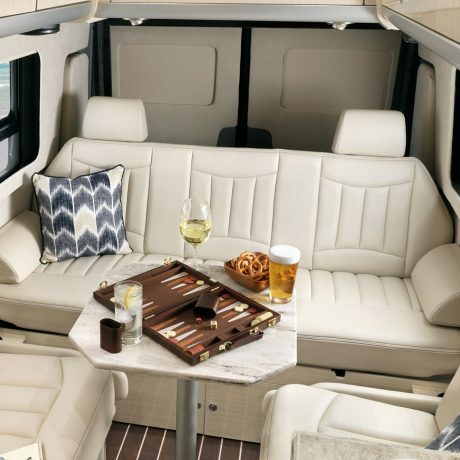 The driver and passenger seats from the cab of the Sprinter RV also swivel around to face the interior space, and offer two more seats for hanging out or entertaining inside. You can set up two tables, one right between the two captain’s chairs and one in the rear in front of the sofa. 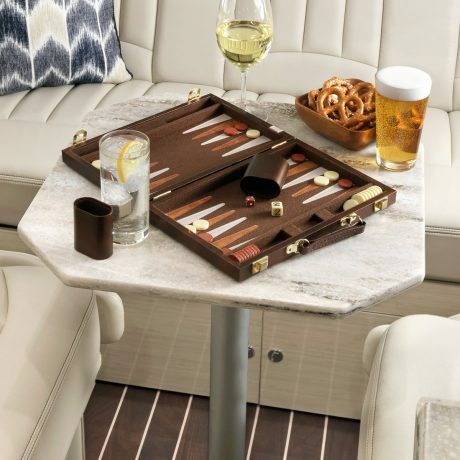 Both are perfect for dining or planning out the next leg of your trip, and they’re easy to remove and stow away. The power sofa in the rear of the coach extends to a fully flat surface with the push of a button. 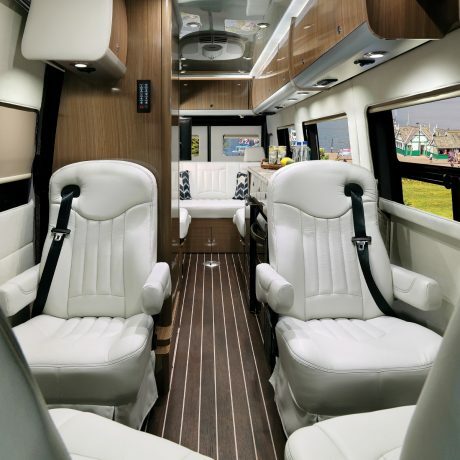 The side seats also fold down to turn the entire rear of the coach into a singular sleeping space. 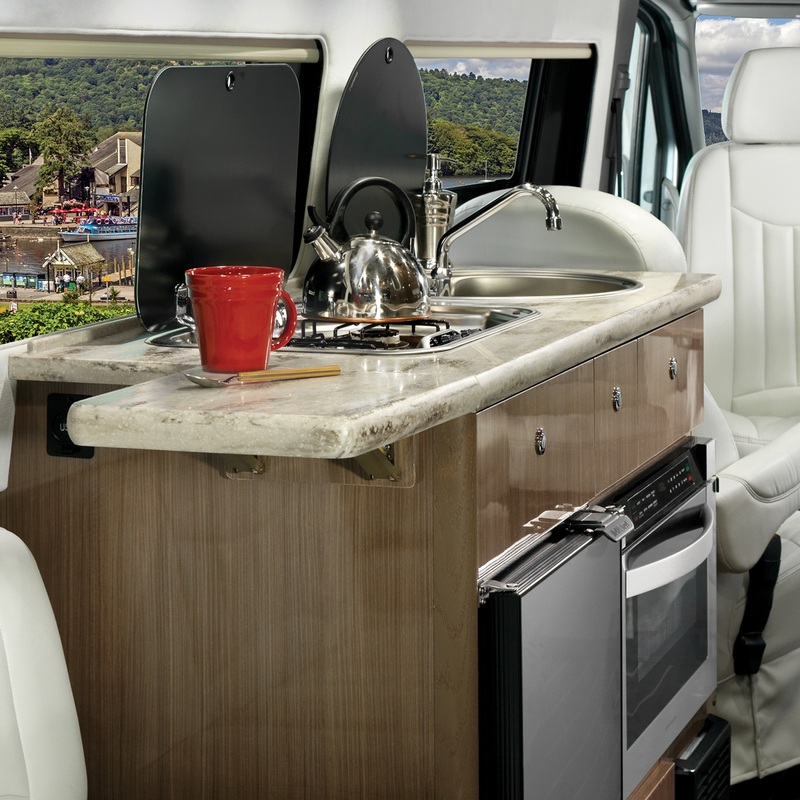 The kitchen features a two-burner gas stove and a large stainless steel sink and faucet, plus extra flip-up counter space for food prep. Under the counter are a drawer-style convection microwave and a refrigerator with a freezer. 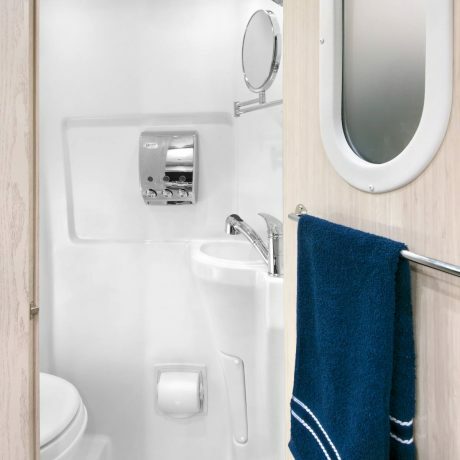 The entire European-style bathroom is designed to get wet, with a shower, toilet, and sink all in one efficient, versatile space. Plus, extras like a waterproof toilet paper cover and a clothesline make all the difference. The Interstate Lounge EXT Touring Coach is ready to impress the whole group, and take everyone to your next destination in comfort and style. After one trip, you’ll find it’s the only way to roll. 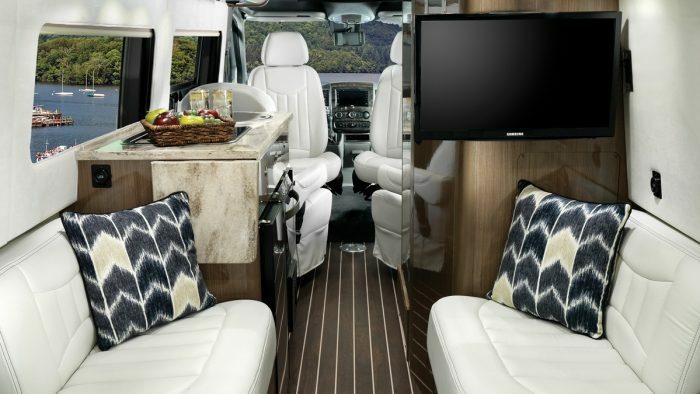 Airstream and Mercedes-Benz are two brands who never compromise. That’s what makes our partnership so seamless. It’s also why we build more than 50 best-in-class features into every single touring coach – as the standard, not the upgrade. 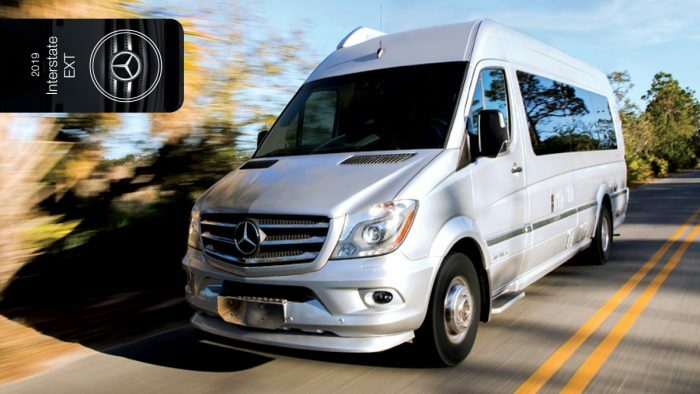 We include every Mercedes-Benz safety and performance feature, and add our own proven convenience, design, and luxury features from 80+ years of RV experience. We know every single choice makes a difference in helping people have a life-changing travel experience. And that will always be our first priority.